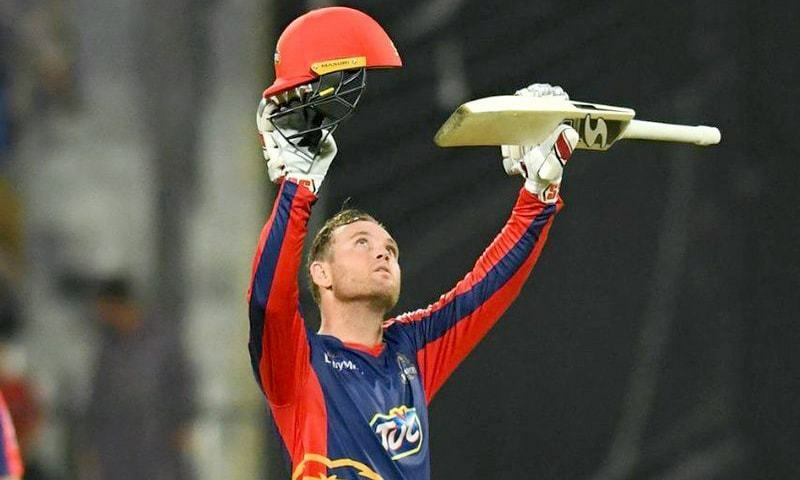 Colin Ingram from South African cricket, with his sensational batting performance, wins the game single-handedly for Karachi Kings. From 4 for 2 to 187 for 4 with 8 balls remaining that was extraordinary and sensational stuff from Colin Ingram. He has become the first foreign cricket player to score a century in HBL PSL. Before him, Sharjeel Khan and Kamran Akmal have achieved this milestone. Luke Ronchi of Islamabad United was the highest individual runs scorer as a foreigner. Ingram scored 127 runs off 59 balls and not only became the first foreign cricket player to score a century but also became the highest individual cricket scorer in the history of HBL PSL. Quetta Gladiator was asked to bat first for the first time in this HBL PSL season 4. It was a good performance with the bat as Gladiators put the total of 186 for Karachi Kings. Nobody expected that to be chased as Babar Azam the number one T20 batsman was out on the first ball of the innings. Colin Ingram strokes were full of confidence. He struck 8 huge and gigantic sixes and 12 fours to take Kings home. He won the game alone for the Kings with his ballistic and shivering knock. Yup, it was cricket & PSL at its best.